The original trio formed in 2013 after the female that was then in the nest chose a new mate. Although Valor I was replaced by Valor II, he hung around the nest throughout the breeding season. 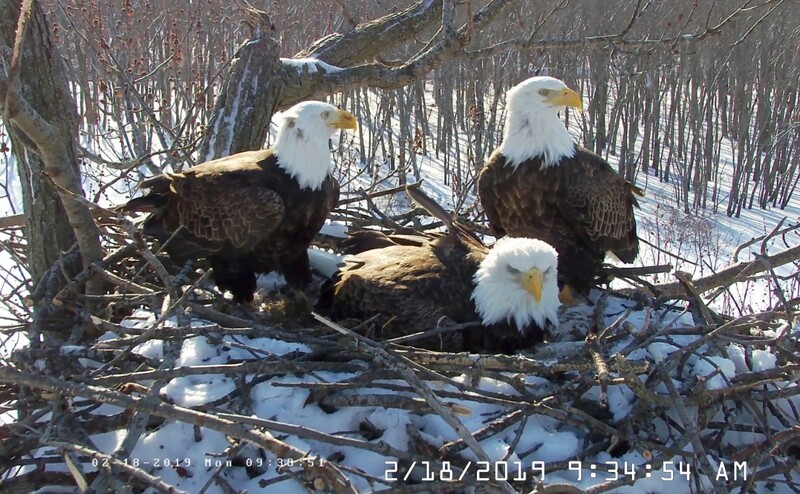 In 2017, the female was killed by another eagle. This is yet so odd, but absolutely incredible and inspiring as well! The eaglets should technically thrive with 3 adults taking care of them. This is a story very worth following.